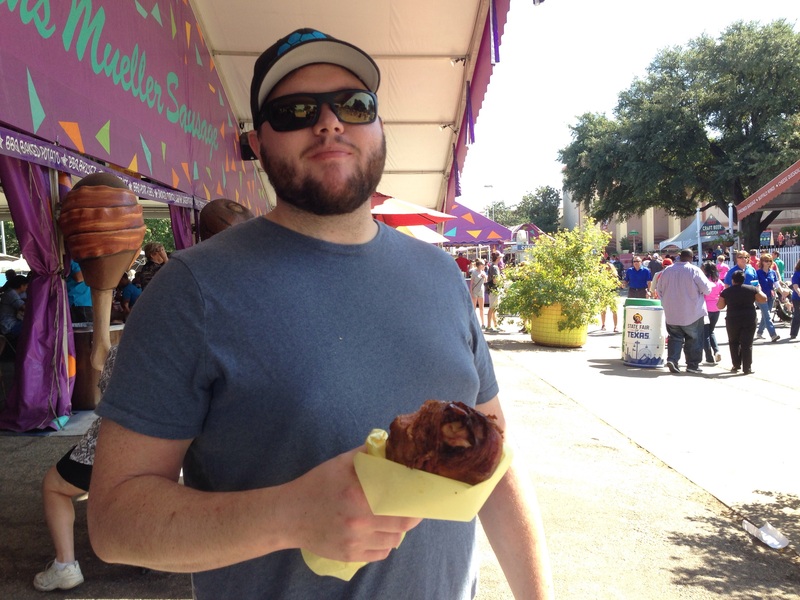 Gluten Free at the State Fair of Texas! 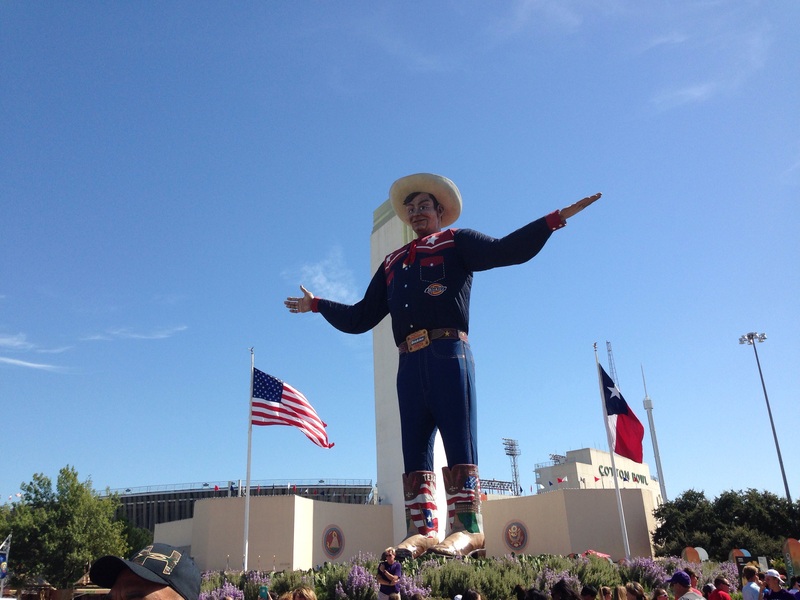 The Texas State Fair just wrapped up last weekend! 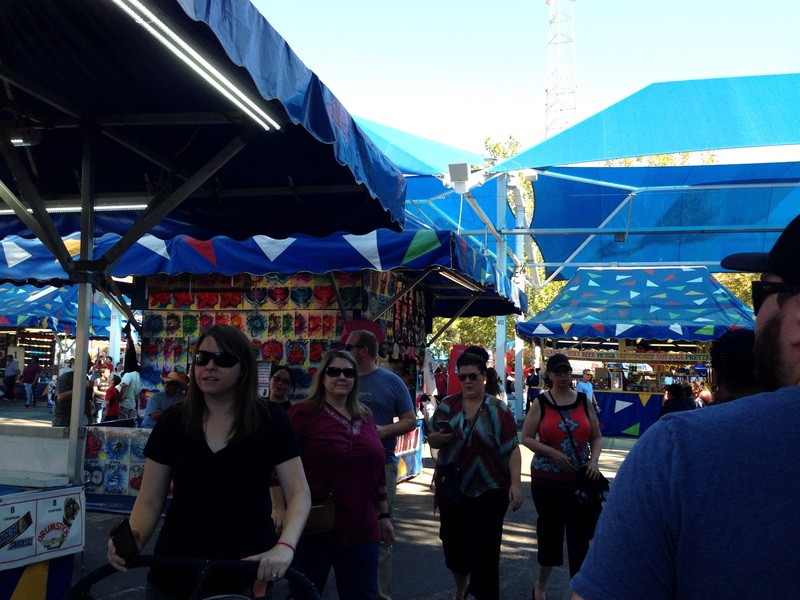 Last Friday, Nick and I headed out to the Texas State Fair for his birthday. It’s always an interesting experience going to the place of amazing fried foods and having to avoid gluten. Turns out, there were plenty of yummy options, and we both had a great time! We got there pretty early to opening, and there were still a ton of people walking around. We explored for a bit, and then decided it was time to try some yummy food options. Nick started with the Cowboy Crunch, definitely not gluten free, but looked amazing. It was corn and jalapenos in cream cheese, and then fried in a crispy coating. I will definitely be trying to make these GF! I opted for the “Fancy Nachos”. I guess they were fancy because they had slow cooked black beans on them, but either way they were really tasty! It was definitely a more filling gluten free option. They also had a nice selection on gluten free ciders at the Beer Garden. Nick went all out and had the bacon wrapped turkey leg. For my second gluten free adventure, I had to grab a Tater Twister. They fry these in their own oil o their is no cross contamination. With some ketchup and salt, they are like an amazing blend of a fresh potato chip, and a french fry. We left stuffed and ended up having salads for dinner! Have to balance it out somehow =). After the fair, I headed to the mall to pick up Nick’s birthday gift and to use some coupons I had for Bath & Body Works. They had these beautiful fall decorations out all over the mall. These GIANT pumpkin displays were my favorite. I purchased a new fall candle. It smells kind of like pine trees and vanilla. A perfect combination for fall mornings when I can open the windows. Have you all visited you state fair? What gluten free goodies did you find? Previous postCrockpot Gluten Free Pot Roast! I’ve always dreamed of going to a state fair! Looks so fun! Also, really cool to see gluten-free options there!